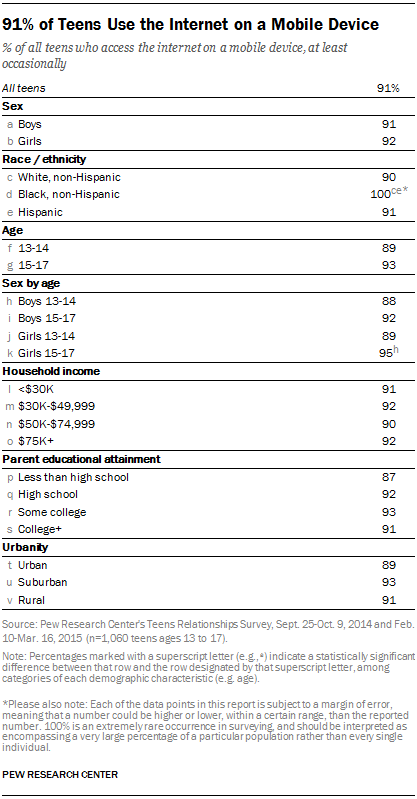 The survey shows that 91% of teens go online from a mobile device, at least occasionally.4 African-American teens are significantly more likely than whites or Hispanics to use mobile devices to go online — with nearly all African-American youth in the study reporting mobile internet access at least occasionally, while 90% of white and 91% of Hispanic teens go online on-the-go. 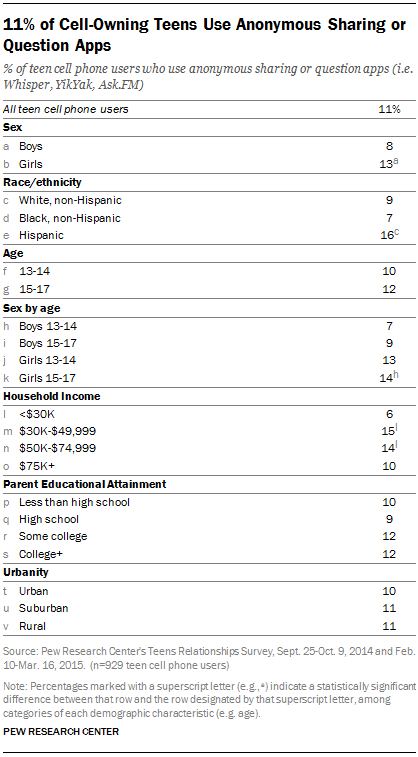 The number of text messages sent or received by cell phone owning teens ages 13 to 17 (directly through phone or on apps on the phone) on a typical day is 30.5 The number of messages exchanged for girls is higher, typically sending and receiving 40 messages a day. 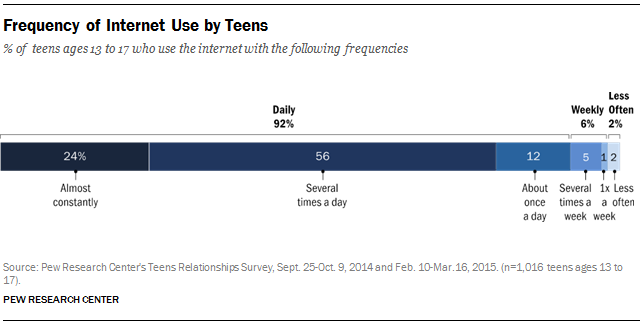 And for the oldest girls (15 to 17), this rises to a median of 50 messages exchanged daily. 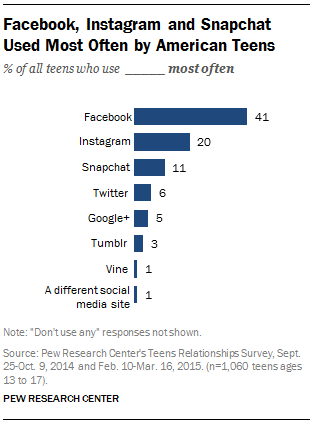 Among Facebook-using teens, the typical teen has 145 Facebook friends.7 Breaking it down, the largest group of teens — 30% — say they have Facebook networks of 0 to 100 friends. 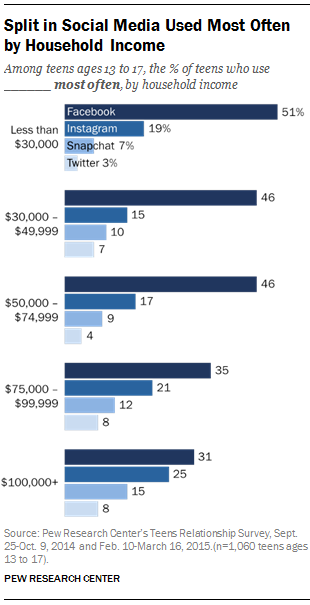 Another 12% report networks of 101-200 friends and 9% say 201 to 300 friends. 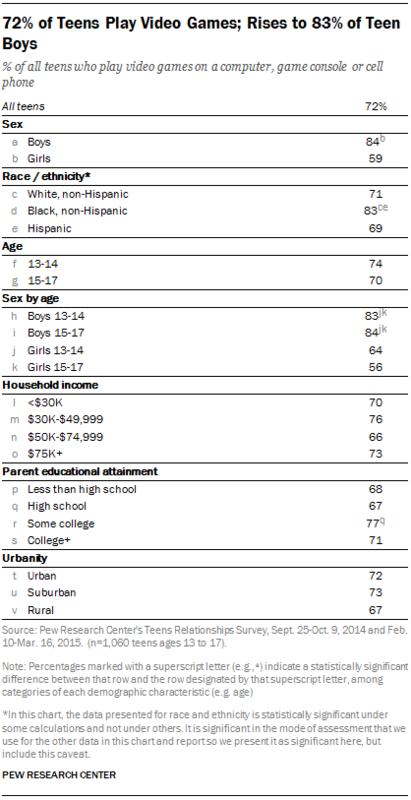 And 15% say they have more than 300 friends. 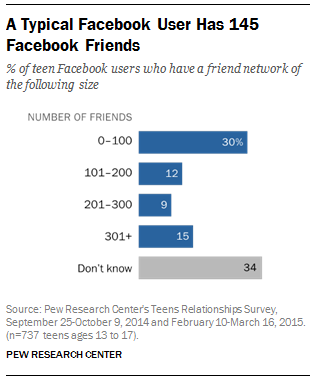 Tellingly, one-third of teens say they are not sure how many Facebook friends they have. 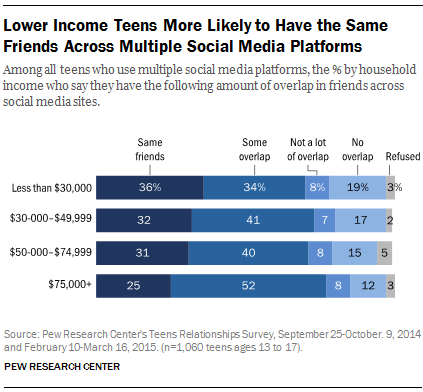 Analyzing typical (median) friend counts for different subgroups of Facebook-using teens, we see some substantial variations. Boys report 100 friends to girls’ 175. 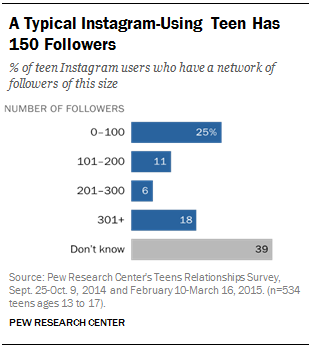 Young teens 13 to 14 typically report smaller networks (91 friends) compared with older teens 15 to 17 who typically have 168 friends. 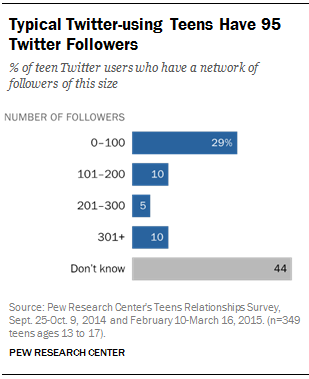 Networks vary in typical size from 84 amongst the youngest boys to 200 friends among girls 15 to 17.